During my early blogging days, I always have fascination with boats especially the historical ones like Spain's Galleon Andalucia and the Balangay Masawa Hong Butuan. Probably because I grew up in Irosin, a landlocked municipality in the province of Sorsogon so I rarely have a chance to ride a mode of transportation based in the water. Even right now that I travel frequently around the country, as much as possible I avoid taking water - based commuting because of fear of safety. There are only very few instances I remembered taking commercial commuting via boat rides in the past: first is when I did a solo backpacking trip in Bacolod. The only way I know to get to Iloilo is through a ferry ride. Another one is on the way to the islands of Caramoan. We need to take a big banca from Sabang port to reach the town. Oh yes, I also remembered riding ferries years ago along the Pasig river from Guadalupe to Intramuros. It isn't bad at all considering that this river is already polluted. I don't know why the operation stopped but I would say, if they continue to have this kind of alternative routes, this is definitely one of the most effective ways to combat traffic in Manila. I also love going on a boat cruise - I did a $5 sunset sailing for one hour in Cambodia last year and joined a press launching of a local company providing small yacht sailing along Manila bay for Php25, 000 per minum of 2 hours. Yesterday, I joined a lunch gathering with fellow bloggers to discuss Sea - EX: The 8th Philippine Boatshow & Nautical Lifestyle Expo. Honestly I have never heard of this before not until I got invited. 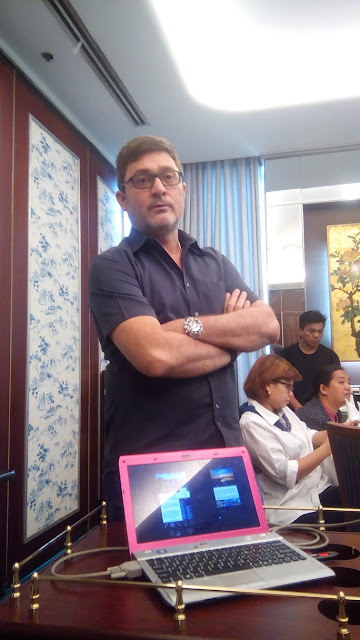 With us is Mr. Angelo Olondriz, one of the lead organizers of Headsail Inc. that pushes Sea - EX to reality every year. He owns a boat - building company employing 42 people. I can see that he is really passionate to bring locally - made boats world - class. He started by sharing the multiple figures of our neighbor countries really doing well. Sadly, the Philippines is quite behind. Thailand is one good example. To attract foreign investors, the government of Thai dropped taxes. They now have 300, 000 registered boats that bring a lot of income. In our country, he shares a few sentiment. Sending a newly - built boat to Davao costs him so much of taxes and overheads than doing the same to Germany! None of us belongs to the boat - building industry so I asked how much is it to buy one just to have an idea. He showed a photo, it costs seven million pesos. His dream is simple - to have efficient ferries for local routes like Manila to Cavite, Bataan et cetera. He even said that it is possible to take a fast craft from Laguna de Bay to Rockwell. Once again, who knows his idea may be the answer to the burden we all suffer - traffic because we only use the same routes every day. Super yachts and private big cruise companies docking in any of our bay, can bring so much profit when these people go out to seek entertainment, tourism and a lot more. 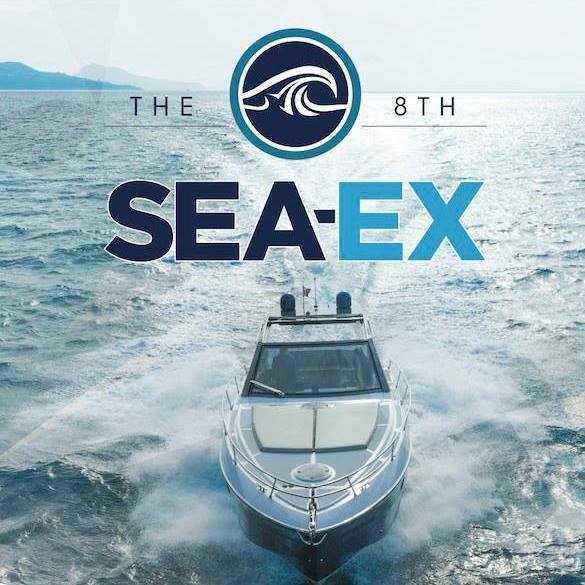 Sea - Ex is supported by the European Chamber of Commerce of the Philippines ( ECCP) & the Tourism and Promotions Board. This event will run from February 19 - 21, 2016 at Hall 1 & 2 of SMX Convention Center. It is a gathering of 70 + businesses involved in the manufacture and distribution of yachts, sail boats, boating accessories, water sports equipment, fishing gear, marine safety and rescue products, summer apparel and resort getaways under one roof.Special activities include launching of the country's first motorized surf board, a fishing activity area and a boat building demo for the family by Philippine Home Boat Builders Yacht Club. You can buy a boat there from a thousand dollars to ten million dollars! 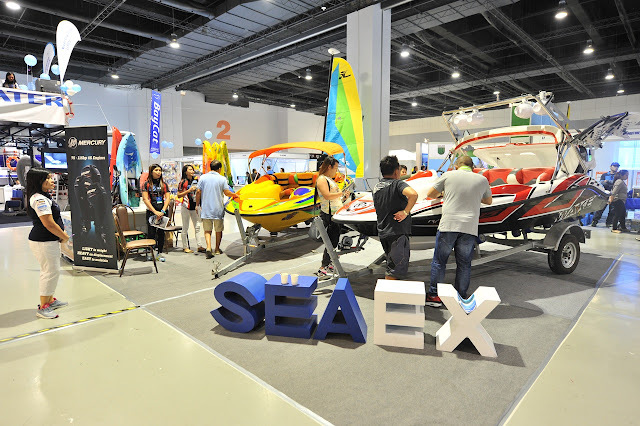 You can head to the Philippine Sea Expo official Facebook Fan Page here. Btw, I got five tickets to anyone who'd like to go there, I am happy to give the other three ( two is reserved for me and sister checking it out). wow Galleon Andalucia, nakasakay din ako dyan (replica) kahit di naglalayag iba yung feel, what more pa siguro kung akin na mismo yung vote.